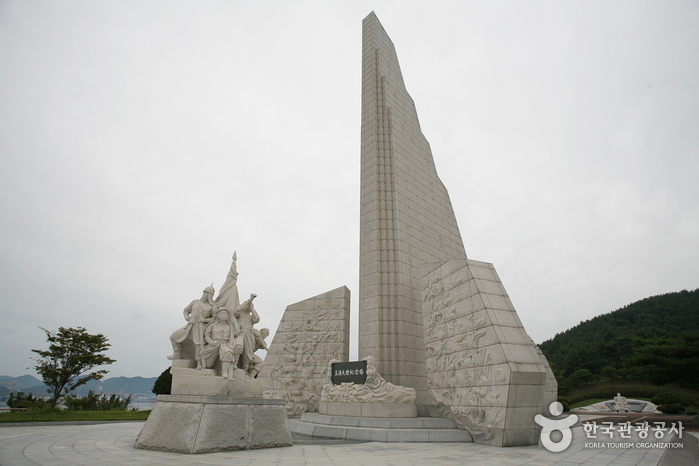 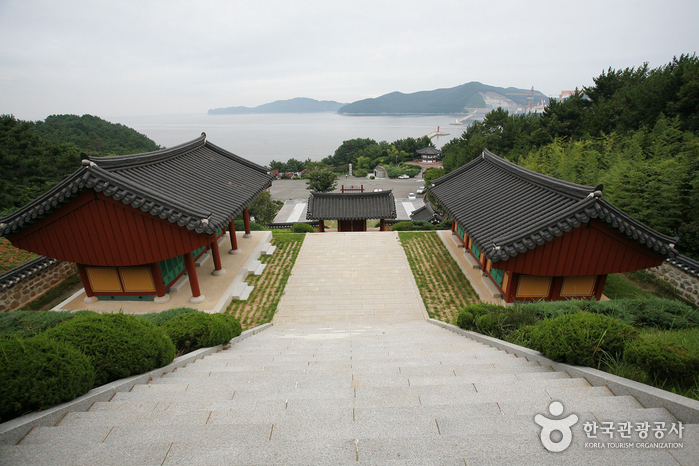 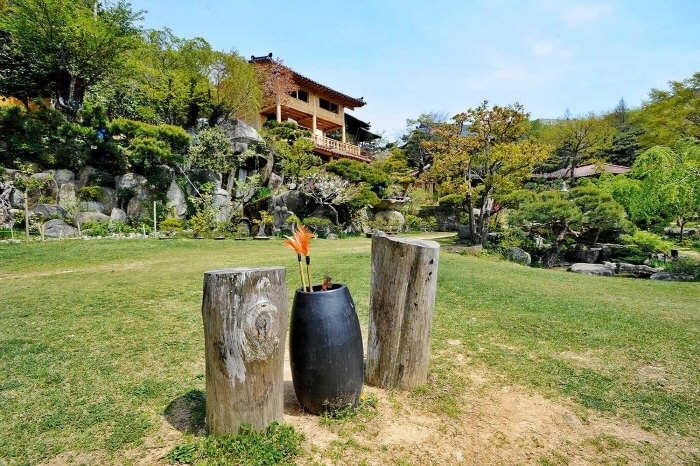 Okpo Great Victory Commemorative Park was built in 1996 to commemorate the victory of national hero, Admiral Yi Sun-sin who fought against the Japanese in the invasion of Korea from 1592~1598. 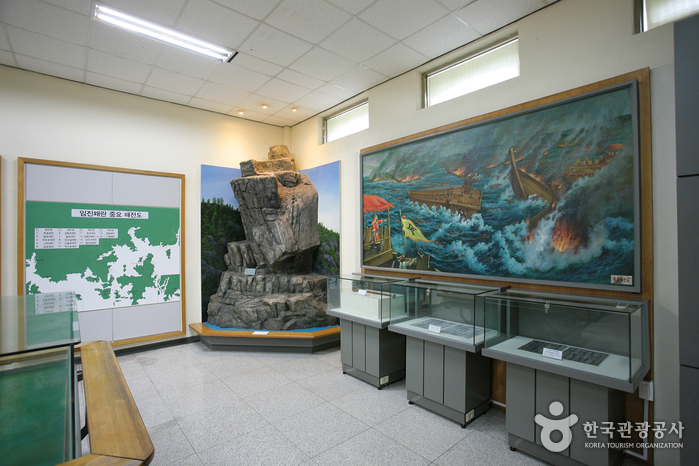 Admiral Yi Sun-sin torpedoed 26 out of 50 Japanese ships gaining victory in the Okpo naval battle. 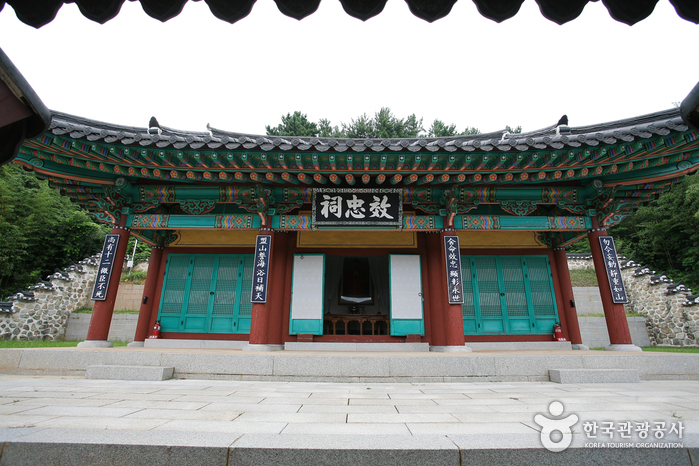 A memorial hall, shrine, tower and Okporu Pavilion are located at the commemorative park. 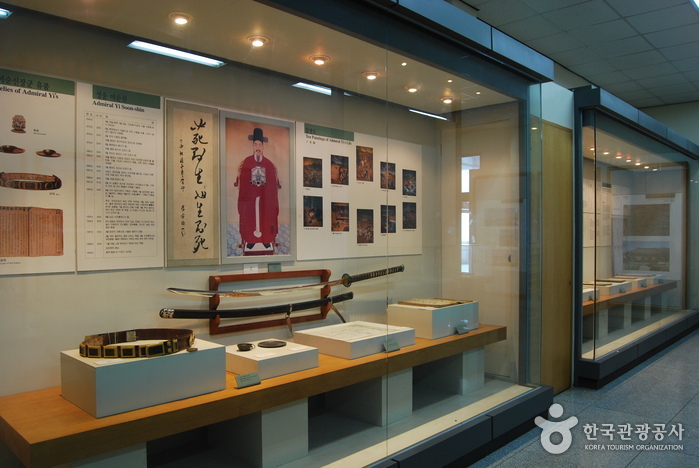 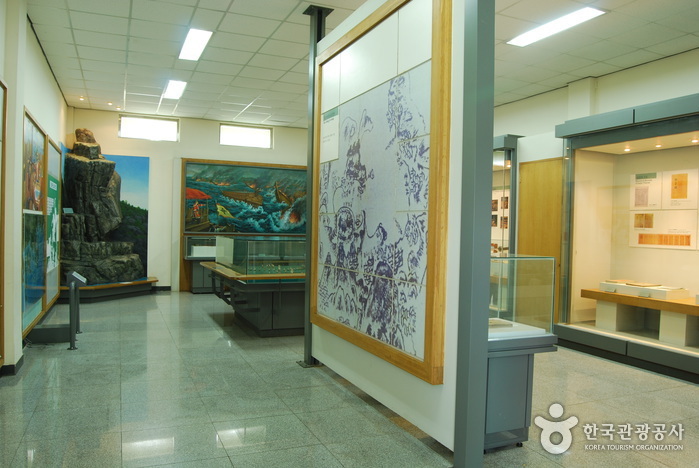 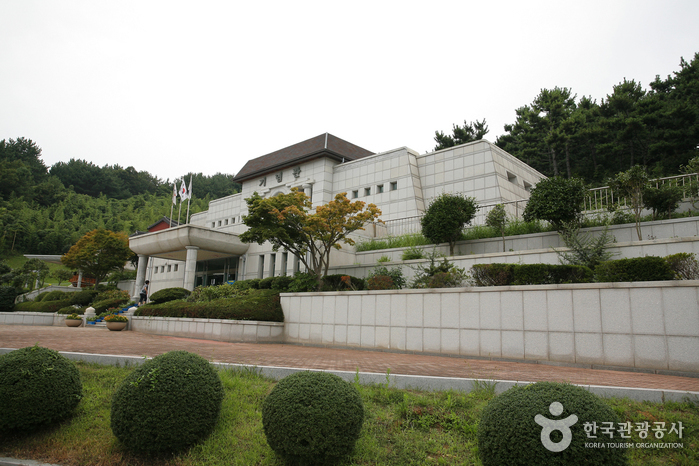 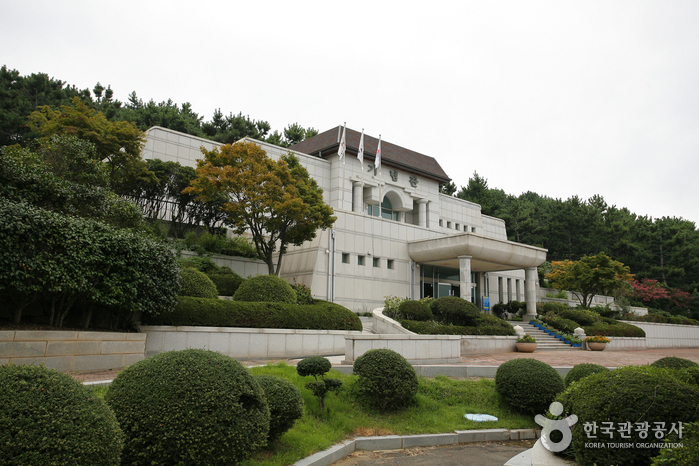 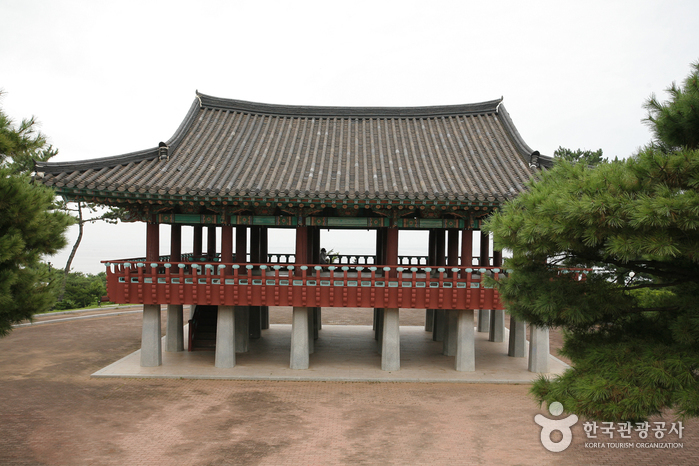 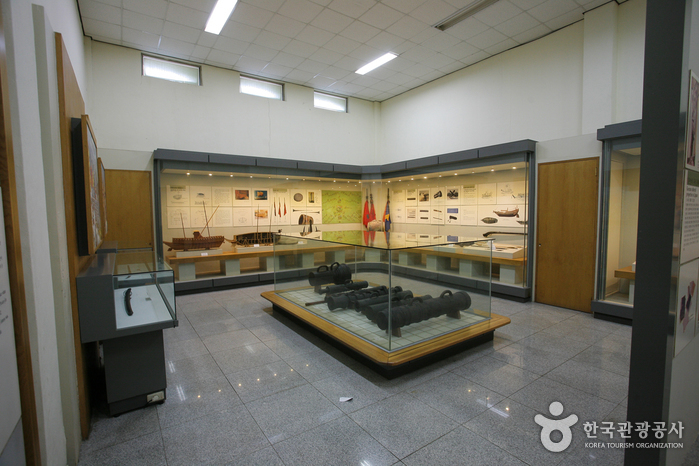 The Turtle Ship, an ironclad warship shaped like a turtle, swords crafted in the Joseon tradition, and other remains are displayed at the memorial hall. 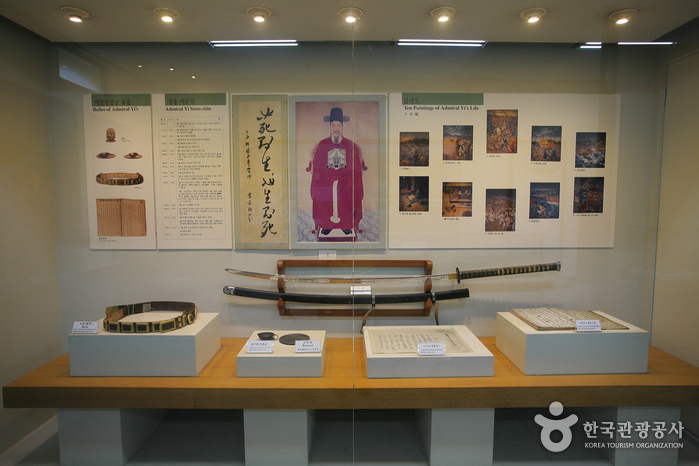 Admiral Yi Sun-sin’s picture can be seen at the shrine. 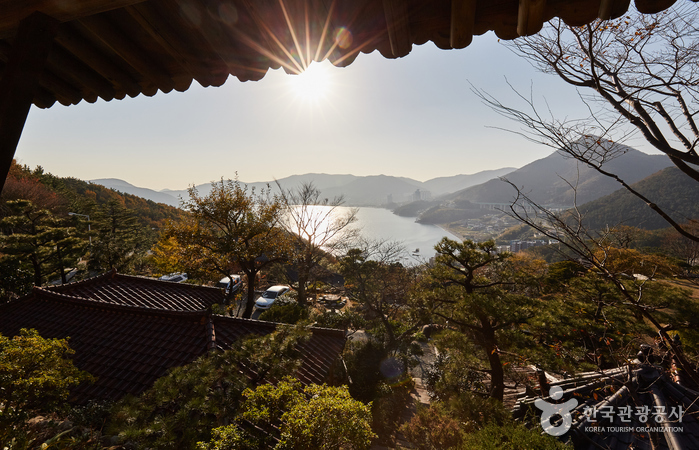 On top of the 30 meter high tower and Okporu Pavilion, visitors can enjoy ocean vistas as well as a view of Daewoo Shipbuilding & Marine Engineering Co., Ltd. 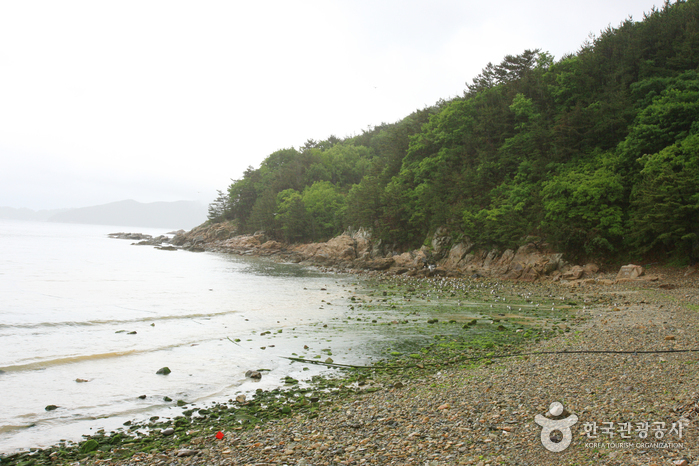 Entrance to the breakwater is not permitted for safety reasons. 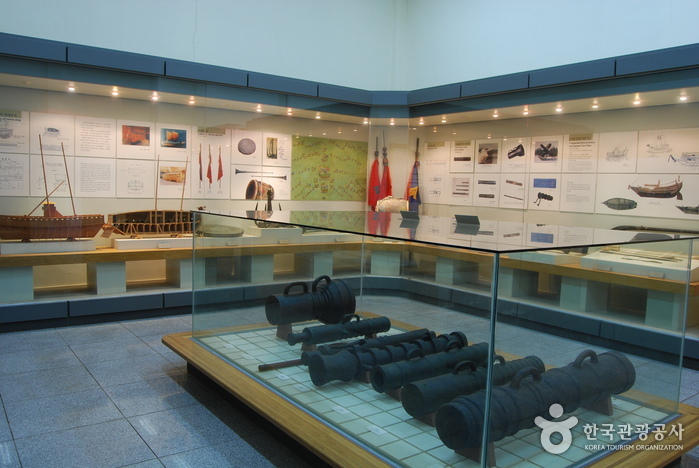 ** Age 6 or under are free. 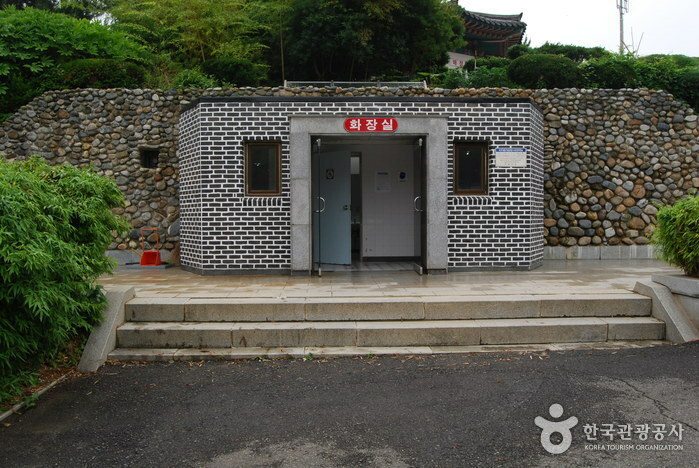 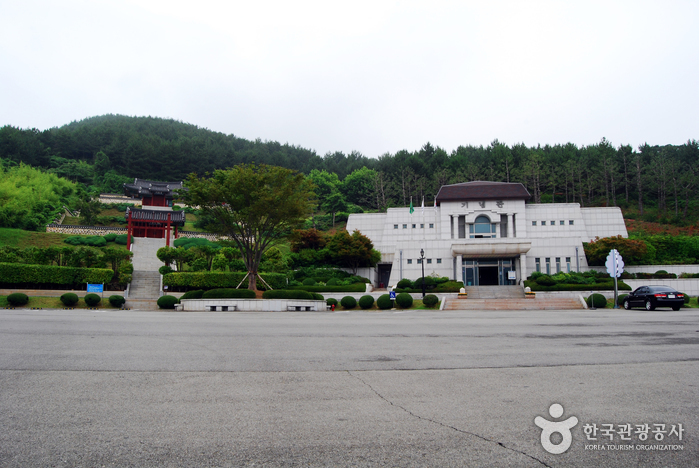 City Bus: In front of Jangseungpo Intercity Bus Terminal, take a city bus bound for Gohyeon and get off at Okpo Great Victory Commemorative Park (every 16 min from 6:00 to 19:00 / 50 min ride). 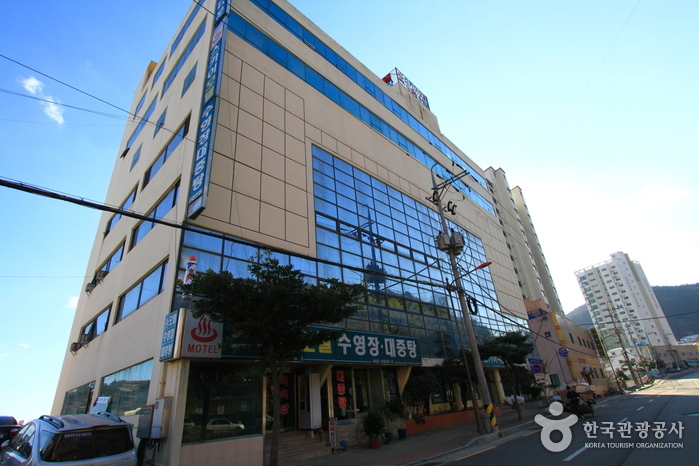 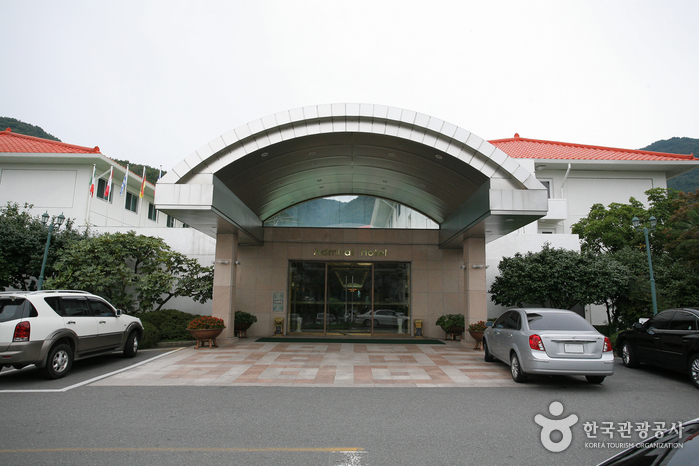 Taxi: Takes 20 min from Jangseungpo Intercity Bus Terminal.